The most valuable asset to any business is single handedly its employees. Your employees will complete tasks and drive success like nothing else can. 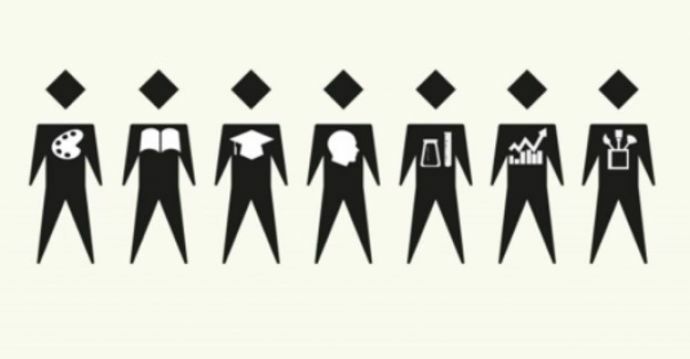 They are more than just a machine or a set of skills on a white sheet of paper; they are people, and they each have their own unique personalities, the question is: can you build a more effective team based on these personalities? When creating your team what do you look for? Skills? Knowledge? Experience? 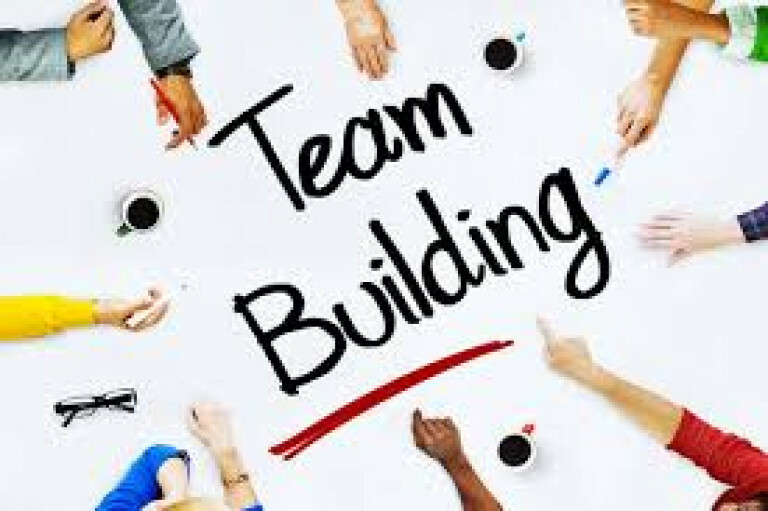 This is all, of course, very relevant information, however it has become apparent that a team’s personality can greatly influence a team’s cohesion, effectiveness and success. So, if personality influences teams success and effectiveness so greatly; why are teams not based more on personality? Personality is often defined and explored within the framework of the Big-5 model, which many psychologists agree captures the most important and crucial aspects of personality. These traits are: openness to experience, conscientiousness, extraversion, agreeableness and neuroticism. These employees are sociable, enthusiastic and expressive. They enjoy working as part of a team and are often successful team leaders. However, extraverts can sometimes become overly assertive and dominant. The opposite of an extrovert is an introvert. These employees are reserved, quiet and often unsociable. They usually have a preference to work solo, or in small teams and tend to thrive in task-oriented roles; opposed to sociable roles. These employees are helpful, friendly and cooperative. They typically enjoy working as part of a team and can work well with others to reach decisions peacefully. On the contrary, employees’ who aren’t agreeable tend to be competitive, self-centred and challenging. They may struggle to work in a team without challenging others and causing conflict but they are great at making tough and objective decisions. These employees are imaginative, creative, and curious. 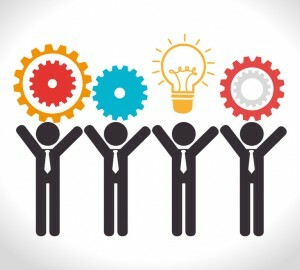 They tend to work well in a team, often accepting others and offering inventive and original ideas and insight. At the other end of the scale there are individuals who aren’t open to experience. These people tend to be more traditional, conventional and predictable. They work best in teams that have routine, guidelines and protocol. These employees experience high levels of anxiety, depression and often feel insecure. They struggle to control their emotions and handle stress and because of this they don’t tend to make good leaders, but they can work well in teams if encouraged and positively reinforced. Employees on the opposite end of this scale are said to be 'emotionally stable'. They are calm, composed and collected, often they perform well in stressful situations meaning the usually make stable and effective team leaders. These employees are dependable, cooperative, and hardworking. Research found that conscientious individuals have higher levels of work satisfaction and other research showed that these employees showed less absences at work. Although research is very much in favour of this trait, it’s not all good – these employees can show workaholic behaviour and can be annoying, fastidious and compulsive. Employees on the opposite end of this scale are easy-going, messy and disorganised. They are usually great at multitasking, especially when its working towards short-term goals. There are other personality tests that measure lots of different traits. As you can see, each personality trait offers something different to a team. So, is it possible to use these personalities to create a more effective team? Firstly, research has found that teams composed of a diversity of different personality types outperformed teams that were comprised mainly of similar personality types on a number of tasks. So, arguably, you could increase the effectiveness of your team by increasing the diversity of personality types within your team. But, what type of personality should you have in your team? Firstly it is important to remember that it is dangerous to assume that one personality type is better than another. Yes, an agreeable individual may be more cooperative, but they will never make a decision. An introvert may not flourish in a team, but some of the most successful people in the world of business are famously introverted. Essentially, every personality type has its own strengths and weaknesses, and what one employee lacks, another will have in abundance. A team comprised of too many extroverts has the potential to be very problematic. Although extraverts tend to show good leadership skills, be sociable and encourage discussions, research has suggested that too many extroverts in a team can actually cause a decrease in effectiveness. This is because there is fierce competition for leadership, which often leads to conflict and uncooperative decision making. Similarly, a team filled with a majority of agreeable employees will often struggle to reach decisions quickly because they are all too willing to cooperate and please each other. This is why in a team it is good to have a few extremely extroverted or emotionally stable employees as they can aid effective decision making and confidently lead group tasks. If there are too many employees that are open to experience in one team problems may arise as conflict may occur due to their unconventional ideas and their differing opinions. The ideas produced by this team may also be too extravagant and impractical, decreasing the effectiveness. A team comprised of mostly conscientious individuals is a team formation with the highest chance of being successful. These teams will often display a good work ethic, produce high-quality work and be cooperative. However, the effectiveness of this team may decrease as they will struggle to work at a quick pace due to their perfectionist nature and attention to every detail. This is where the addition of an extrovert or an employee who is open to experience comes in; they can drive the team forwards, increase the work pace and encourage them to meet deadlines effectively. Finally, perhaps unsurprisingly, high levels of neuroticism across a team will negatively affect this teams performance as it leads to more interpersonal conflict. These teams will also be ineffective as they will struggle to handle the pressures and stresses that is so commonly placed upon workplace teams. Perhaps, in order to fix this, the opposite (an emotionally stable employee) should be added to calm the team and to encourage the team to work better in a pressured environment. 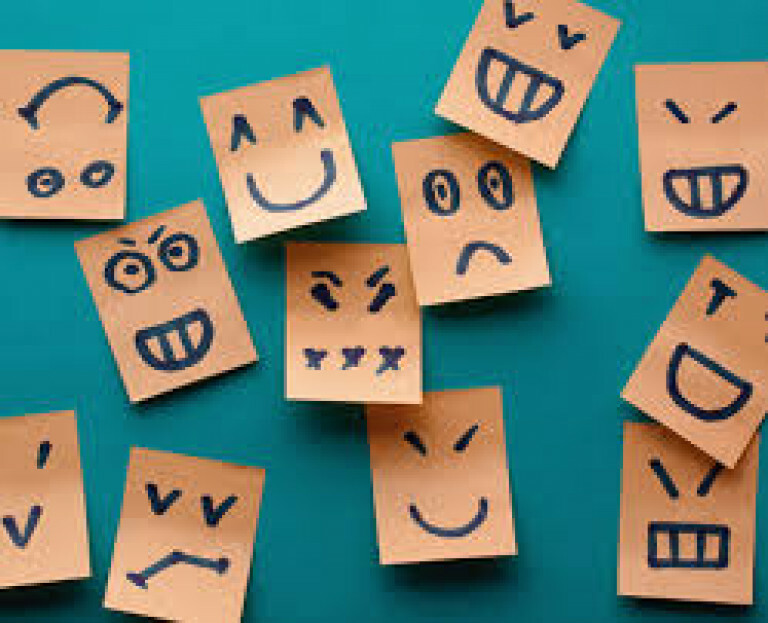 So, overall, in order to produce an effective and successful team, there needs to be a mixture of personalities in the team to incorporate all the positive aspects from each employee, and hopefully minimise their weaknesses. In an ideal world, your team would have a few strongly extroverted employees to lead the task, a considerable number of agreeable employees to cooperate decisions and reduce conflict, a considerable number of conscientious individuals to produce high-quality work, some emotionally stable employees to remain calm under stressful and pressured environments, and finally, a few employees who are extremely open to experience to input creativity and imaginative ideas. However, in saying all this, every team is different and there are no exact statistics to say for sure exactly what percentage of each big-five personality type you should have in your team. The personality formation of a team and how this affects its effectiveness does often depend on what sort of team it is, and what type of environment they work under. For example, if a team is a big and successful sales team at the top of a business hierarchy, this team may actually benefit from more extroverted employees than other teams, as these employees are confident in driving sales, can make quick decisions and enjoy interacting with others. Whereas, much smaller teams, in far less fast-paced or pressured environments, may excel better if they are comprised of more of conscientious or agreeable employees that other teams. This is because the work of these teams may be far more focused on accuracy, and their work environment is slower and more focused on cohesion. A final point to take home with you is that personality is on a scale in which people can place extremely highly on, averagely on, or low on. The big-five comprises of five personality traits, and realistically speaking, all of your employees will distribute onto all these five traits; some may show way above average scores on one trait, others may be average on all traits. So, when creating teams based on personality, be mindful that just because someone is highly conscientious, it doesn’t mean that they won’t also be highly neurotic. Why are more personality types better in a team? A diverse number of personality types in a team allows the team to perform better because each person will offer different strengths, values and viewpoints to the team. Where one team member has a weakness, another team member will make up for it. For instance, where the agreeable individual can’t make decisions, the extrovert will make up for this weakness. Also, it is always good to have a large portion of differing opinions and views. Do some personalities work better in some roles? There is some research to suggest that people with certain big-five personalities type are suited to particular positions. A conscientious person is likely to excel in many positions due to there accuracy and commitment but they may excel particularly well as an entrepreneur, as a manager, directors or in public sector jobs, such as the military or the police. An extravert may excel in jobs that involve interactions with others, such as managers, sales personnel, lawyers or sociable non-profit roles due to their desire to work with others. The opposite of an extrovert, an introvert, is less likely to excel in sociable roles; they tent to make good scientists, authors or graphic designers because the jobs are often in small teams or solo. A person who is open to experience tend to drift toward, and excel in, artistic, investigative and creative jobs to fulfill their vivid imagination, they also make great entrepreneurs because of their ability to make risky decisions and use their initiative and imagination. Individuals who are emotionally stable tend to work incredibly well in non-profit jobs in areas of unrest or destruction, they also work well in jobs in the public sector because of their calmness and ability to adapt. Finally, agreeable individuals are mostly likely be good at social, non profit work because of their regard for others and desire to cooperate, or in roles that allow them to work as part of a big team. If you want more insight on this topic, here’s a post I wrote on the topic https://www.workstyle.io/career-choice-based-on-personality. Could I use personality testing to hire the right people for my team? There are mixed reviews about whether personality tests should be used as part of a hiring tool. Your decisions most certainly should rely only on personality testing; there are other things to consider such as skills, experience, knowledge and cognitive abilities. 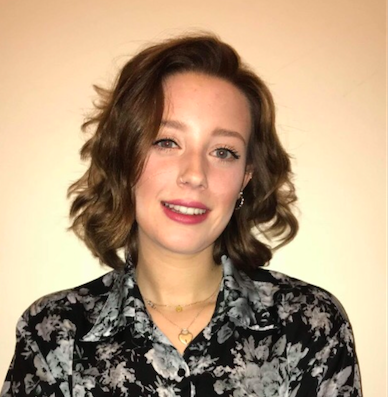 There are some disadvantages to using personality testing as a hiring tool; they can reference sensitive topics, such as mental illnesses, so can cause people to be unfairly discriminated. Also, potential new-hires can learn the correct answers to personality questions, invalidating the results. However, there is research to suggest that adding the right personality to your team will increase its effectiveness and will increase your company's culture. It is important to keep in mind that the only way to really know if someone is right for your team, the job, and your company, is by monitoring their performance over a series of months and seeing how they fit it. I wrote a post about the positives and negatives around hiring based on personality - check it out if you're interested. If yes, when should I use this testing? Again, there are lots of different opinions as to when it is best to use these personality tests as a pre-hire tool. Lots of Human Resources personnel will say that they are best to be used at the very end of the selection process; to narrow down two or three strong candidates and decide who gets the job. However, some big companies also use them right at the very beginning before they even look at applications, this narrows down the applications to the people they want to pursue based on how they’ll fit into the team’s culture, but this does mean that they may miss out on some really strong candidates. What test is the best for measuring personality? There are a number of personality tests that are all pretty accurate; some are free, and some are expensive. Some can be accessed on the internet and completed online, whilst others can only be completed in paper form and then analysed by experts. Myers-Briggs Type Indicator, which measures your personality across four preferences. It will measure whether you’re an introvert or an extrovert. Whether you have a sensing preference or an intuitive preference. Whether you make decisions by thinking or feeling. And, whether to go about things using a judging preference or a perceiving preference. From this, the test then places you into one of 16 personality types, each has its own strengths and weaknesses. DiSC assessment, which measures your personality on a Dominance scale, influencing scale, Steadiness scale, and Conscientiousness scale. Typically speaking, you will score higher on one or two of the traits, making that your personality type. Big-5 tests, these tests are possibly the most popular personality tests as much of the framework of personality is based on the Big-5. 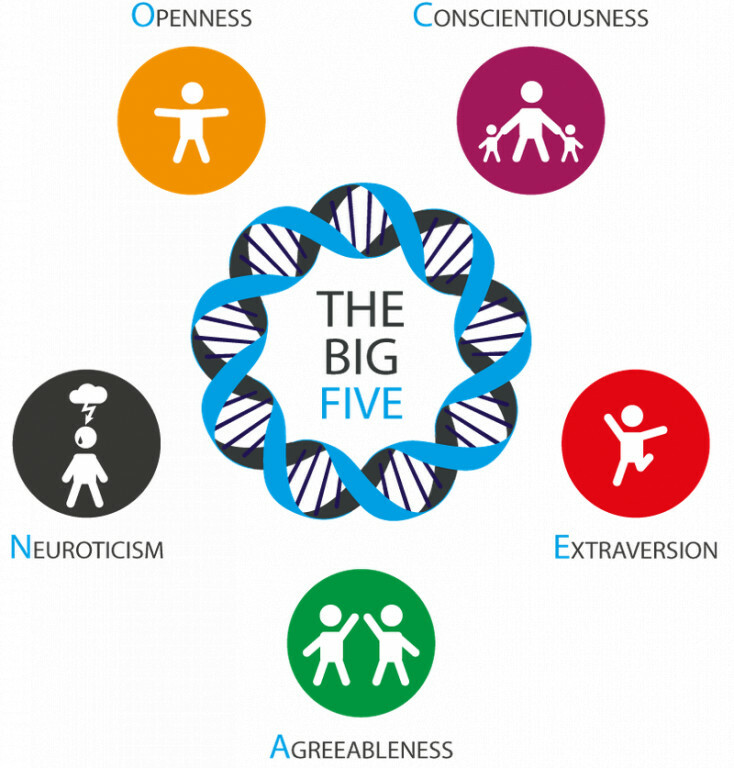 There are a number of tests that measure your big-5 traits, such as the NEO-PI. There are also some free online tests that will measure your Big-5 traits. Essentially, all these tests measure the same thing, your scores on an Extraversion, Agreeableness, Openness to Experience, Conscientiousness, and Neuroticism. Traitify is another popular online tool that can measure your personality in just 90 seconds. 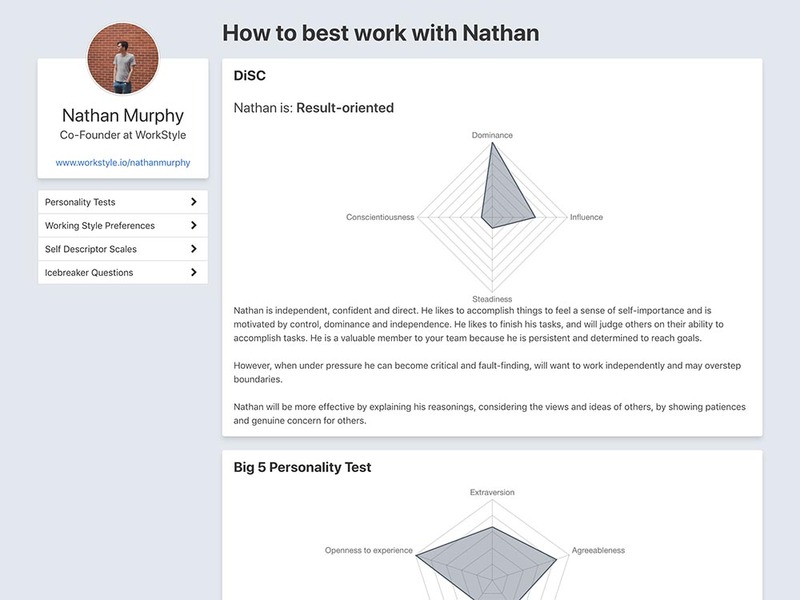 Based on the Big-5 and using occupational psychologists, Traitify has invented its own tests to measure individual personality. Again, when used in an occupational setting, it can identify how well employees will fit into a team. Crystal is another one of my favourite online personality tools. It measures your personality through a series of tests, such as the DiSC assessment. This tool is also designed more for an occupational measure and can be used to run ‘relationship reports’, ‘group reports’ and ‘chemistry reports’, all of which work out, based on personality, how effectively two employees or a group of employees will work together. How can I find out my own personality type? Firstly, this depends on what type of personality type you want to know what you are. There are a number of tests you can use that will measure your personality, for instance, the Myers-Briggs measures preferences, whereas the Big-Five measures your personality on five scales. Most tests are based on the Big-Five framework but will measure different things. All the tests mentioned above can be used to measure individual personality types. There are also some free tests that can easily be accessed online and should give an accurate personality profile.